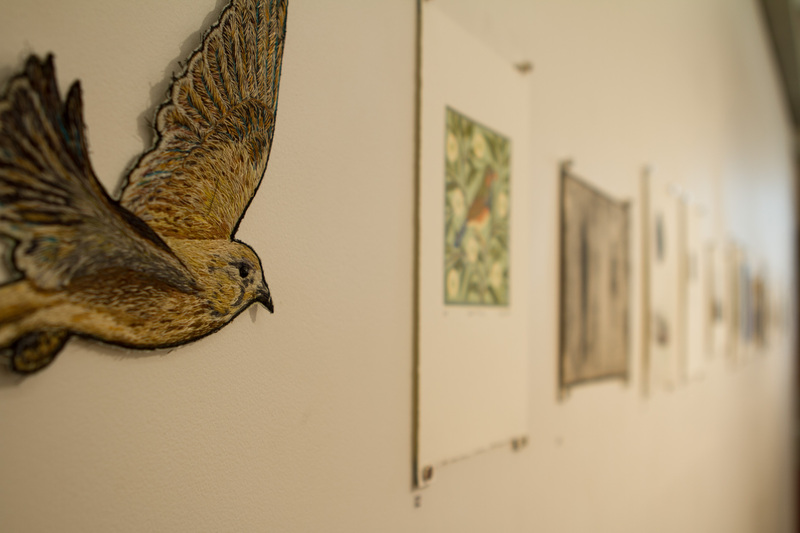 Come to the gallery this week to catch Bimblebox 153 Birds. 153 Artists, 153 Musicians and 153 Writers engage with 153 bird species of the Bimblebox Nature Refuge. 134 Kedron Park Rd, Wooloowin. Gallery entrance is at the back, if arriving by car turn into the Kedron Park Hotel carpark off Lutwyche Rd, gallery is located at the far left hand side from the carpark entrance. Crested Pigeon II, 2014, Kyoko Imazu, photo courtesy of the artist. Exhibition photo on this page by Alana Brekelmans. All Those birdies finally up there!